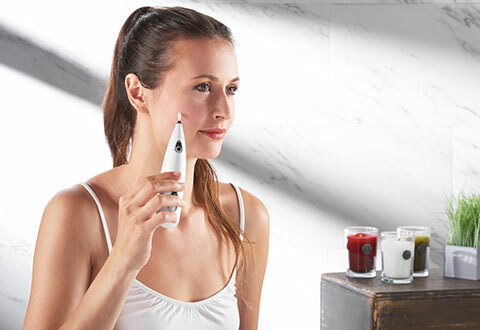 The cordless Fine Facial Hair Remover is the home electrolysis system for detailing small areas of the face and body, such as the upper lip, face and eyebrows. 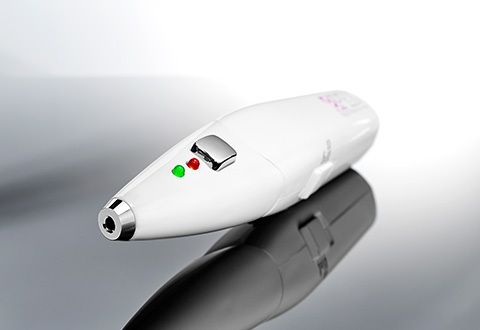 Using the same galvanic technology as professional salons, a small electric current goes right to the hair follicle, so unwanted hair cannot grow back. With regular use, you’ll notice permanent results within 60 days. 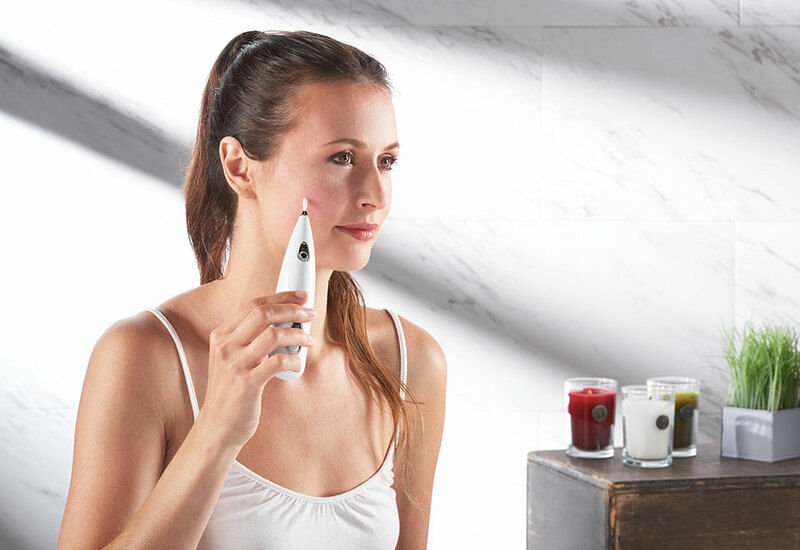 Start today for a lifetime of smoother skin! Use the Fine Facial Hair Remover for smoother, hair-free skin... 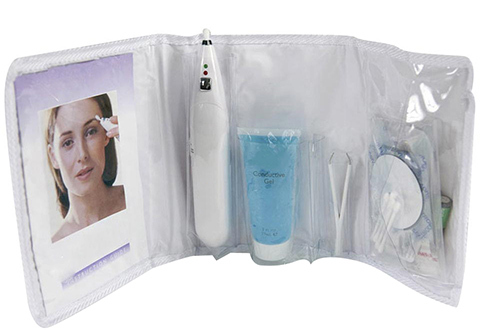 Shape your eyebrows and remove hair from the face, upper lip and other areas, permanently and painlessly. • Cotton bud tip can be used to remove single hairs, shape the eyebrows, etc. • Self-adhesive electrode pads can be used to remove hair from larger areas, such as upper lip, underarm, arm, leg, bikini line, etc. • PLEASE NOTE: This is a personal care item and is returnable if in its original unopened packaging and unused condition. Not for use by those with a pacemaker.